SaudiGulf Airlines, a privately-owned carrier and the first to get a licence after the liberalisation of the Saudi aviation market, has launched its scheduled services on Saturday (October 29) with two daily flights from Dammam to capital Riyadh. The launch comes almost four months after the private carrier secured its licence from the Saudi General Authority of Civil Aviation (GACA). SaudiGulf Airlines has become the second carrier to commence operations in the kingdom after Nesma Airlines (Saudi Arabia) began regular flights from its hub Hail to Qaisumah using an ATR72-600. Another private player, Sky Prime Aviation Services, too is gearing up to launch its service following the awarding of a national air operator licence under the ongoing liberalisation of the Saudi aviation market. The airline said the Riyadh operations will be followed by two daily flights to Jeddah starting from November 27. The first international flight from Dammam to Dubai, UAE, is also being planned for the first quarter it added. Announcing the launch, Tariq Bin Abdelhadi Al Qahtani, the chairman of the board of SaudiGulf Airlines said: "The airline will offer a new level of service in the kingdom, whereby passengers will experience quality and comfort based on the essence of true Saudi Arabian hospitality throughout the entire travel Journey, from booking, to check-in to the experience onboard." Both these routes will be operated with a fleet of brand new Airbus A320 aircraft all fitted with the latest technology in-flight entertainment systems, and the highest features for comfort and safety, said the statement from the new Saudi carrier. The airline is currently operating on four brand new Airbus A320s. "SaudiGulf Airlines will be the new national carrier, raising the Saudi Arabian flag high up on the global aviation stage," stated Al Qahtani. 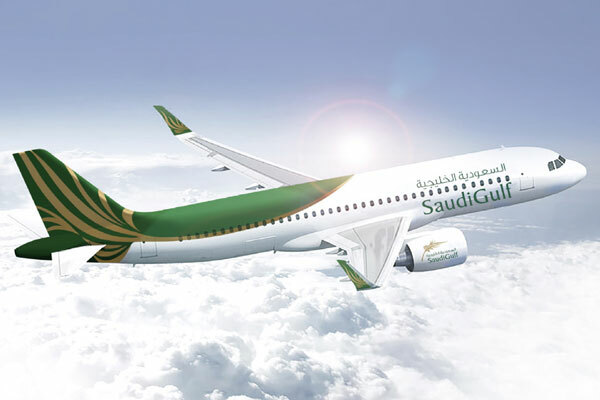 According to him, the airline plans to launch flights between Riyadh and Jeddah with up to seven connections daily in the first quarter of 2017. “The airline will inspire businesses and businessmen alike in the kingdom to develop similar initiatives to better serve the citizens and residents of the nation, with the support of the government of the Kingdom of Saudi Arabia,” he added. Lauding the kingdom's leadership for its continued support, wisdom and guidance, Al Qahtani said: "The primary reason behind the launch of the airline is to meet the increasing demand for air transport services in the kingdom, due to the rapid growth of the Saudi Arabian economy." Only national carrier Saudi Arabian Airlines and budget operator National Air Services currently serve a domestic market of about 27 million people. SaudiGulf Airlines, which has complied with all GACA requirements, aims to boost its fleet strength by the end of next year. Karim Makhlouf, the chief commercial officer, outlined the airline's unique service strategy concept which improves the complete travel cycle from the customers’ perspective. The airline has invested heavily in the aircraft's interors to boost passenger experience in terms of equipment and service delivery, with latest in-flight entertainment systems. "They will get to experience the latest Hollywood movies and games, genuine leather seats, complimentary hot meals for all classes, full on-board connectivity and hi-speed Wi-Fi," explained Makhlouf.